Just like our campers, our camper families face unique challenges. That’s why when the joys and triumphs of summer are over, we fill our cabins with year-round retreats that help campers and their families find healing, empowerment, and the realization that they’re not alone. By sponsoring families for weekend camps, you support pivotal moments that help them reconnect and learn how to overcome obstacles together. Surrounded by a community that shares similar experiences, campers find hope, inspiration, and a break from the challenges of everyday life. Often times, that Camp community becomes a second family, and Camp becomes a second home. 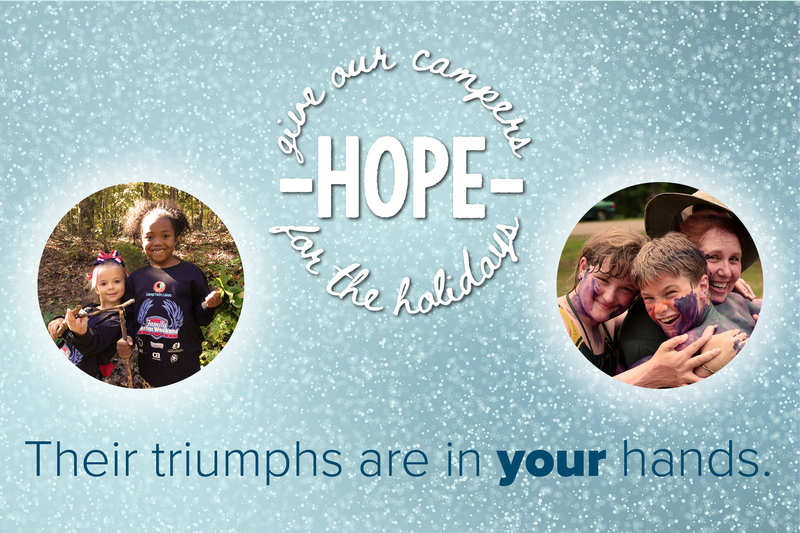 To make a gift by mail, send your check made out to Camp Twin Lakes to 1100 Spring Street, Suite 260, Atlanta, GA 30309. To make a gift by phone call 404-231-9887. A Tribute gift is a donation in honor or in memory of someone. If you would like this donation to be a Tribute gift, please check the box below. If you would like Camp Twin Lakes to send a card acknowledging your gift, you must provide a mailing address for whom you would like to receive your card.